Be careful in our culinary paradise! Potatoes, maize, quinoa and peppers: the most famous ingredients of the Peruvian kitchen have conquered the whole world. But the variation is nowhere as big as in Peru. Try for example causa (a cold pastry of mashed potato, avocado, chicken or tuna), papa rellena (stuffed potato with meat, onions, olives, boiled eggs and – of course – peppers), or papa ocopa (boiled potatoes in a mild-spicy peanut sauce) and you will know that you are in a culinary paradise! You have to be careful though. Although there are plenty of clean restaurants and the food in hotels and during tours is normally very good, it happens once in a while that tourists fall ill. Mostly they have travelers’ diarrhea, but sometimes a tourist gets parasites or a bacterial infection. – You can not drink water out of the tap. It is not necessary either: on every street corner you can buy bottles of mineral water for a few soles. If you have a very sensitive stomach you can even brush your teeth with bottled water. If you boil the water from the tap first, then you can drink it without any problems. – Also be aware of water in other products. Watch out with ice cubes, vegetables and fruits: you never know with what kind of water it has been washed. If you want to eat some fruit, buy something that has a peel. – Be aware of products like ice and mayonnaise. Often it is being conserved for a long time and mostly it is not cooled very well. Eat those products only in clean restaurants. 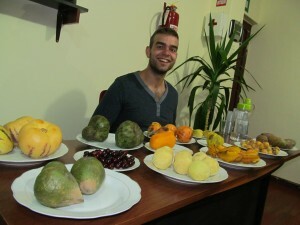 In general most places in the center of Cusco are suited for tourists and serve food and drinks that are safe to take. 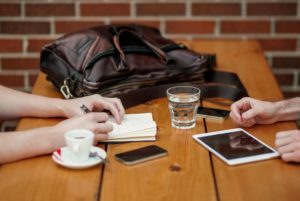 – Of course we have to say that it is virtually impossible to tell which restaurants you can trust for a 100%. Your general impression is important: does the restaurant look clean, are the tables clean and what about the waiters? Naturally it is also nice to eat in local restaurants. Try the restaurants that are crowded with local guests: that is mostly a good sign! – It is preferable not to eat on the street. You never know how long something is already baking in the sun, and street sellers don´t have any place to wash their hands… The preparation is not always that clean either. Do not take the risk if you are only a couple of weeks in South-America! Pay a few soles more and save yourself a trip to a clinic. – Do not eat too much and especially not too much meat if you travel to high altitude like in Cusco. Your digestion is working a lot slower there. Drink a lot though, but be careful with alcohol. – When you do get sick: seek medical attention in a clinic. In general the clinics are better than the hospitals and in the clinics in Cusco there are staff members that speak some English. Of course if you get sick and you need medical attention, always let us know so we can help you! We know how important it is to have someone you can trust and help you when you are not feeling well. So don´t hesitate to ask us to help you, we will be very glad to do so! In Peru you can pay with 2 currencies: the local currency and the American dollar. 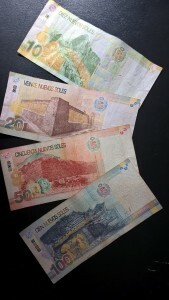 In Peru the local currency is the Sol (S/.). You will pay all small purchases with the local currency the Sol. Furthermore it is normal to pay with Soles in restaurants, buses, shops etc. However, for tours, flights and hotel rooms it is normal to pay with American dollars. Please keep in mind that in Peru people are very picky with the dollar: nobody will accept a bill with even a minor rip as the banks and exchange offices don´t accept these Dollar bills. So if you bring US Dollars, only bring new ones! Click here for a daily update of the exchange rates. Don´t take Euros with you on your trip to Peru. You can´t pay with Euros in Peru and exchange offices offer a bad exchange rate. Never take too much cash money with you, neither upon arriving in the country. Around 200 dollars is more than enough. In the international airport there are ATM’s and money exchange offices. Nowadays, you can pay with a credit card in many businesses, especially tour agencies, touristic restaurants and hotels. Visa and MasterCard are the most popular credit cards. But be aware: most businesses ask a high commission, even up to 10%. Always ask about this first if you want to pay with credit card. The best way to deal with the money issue are the ATM´s. There are many ATM’s in the larger cities like Cusco, but nowadays also in many smaller towns. We prefer Banco de Crédito de Peru (BCP) because there you can get the highest amount at once (up to S/. 1900, also depending on your own bank). This might make a difference in the commission your own bank charges you. The bank also feels safe: normally the ATM’s are guarded and you have to wait for your turn behind a red line. Please note that at some ATM´s you will get your bank card back after receiving your money and your voucher. So don´t walk away while your bank card is still inside the ATM. In our opinion you do not have to bring Travellers Cheques. The commissions are high and there are sufficient ATM’s! Never take too much cash money with you (nor your passport, bank cards etc). You don´t need to walk around with a lot of money if you´re not going to pay for something specific. So leave large amounts in your accommodation. Normally it is a lot safer. Please notice: Peru and especially Cusco are not dangerous, but there are pick-pockets active in Peru. So always look after your personal belongings! Wi-fi internet is widely available in Peru and especially in Cusco you won´t have any problems connecting. We offer free wi-fi internet in the Spanish school and you will have internet access as well in your accommodation in Cusco. The apartments as well as the guest families have internet access included. Besides that, you will find free wi-fi in all touristic restaurants and bars in the city center of Cusco. You used to find a lot of call centers in Cusco but due to the wide internet access, call centers to make international phone calls are not that common anymore. People stay in touch with e-mail, WhatsApp and other messenger services and video calls like Skype. But in the city center you can still find a few places to make international calls, especially around Avenida el Sol. A telephone with a local chip could come in handy when you want to make local calls. You can purchase a chip from a local operator (for example Movistar, Claro or Entel) and put the chip in your telephone. Many times the local operators offer a chip for about 20 soles (6 USD) but they give you the 20 soles as telephone credit so it won´t really cost you anything. And if you need to make a local phone call, of course you are free to do so in the Spanish school! The two main ways of transportation in Cusco are local buses and taxis. A local bus from anywhere to any place within the city of Cusco costs you S/. 0,80 (about 25 dollar cents) per ride. This is a popular way of transportation and it can get crowded in the bus at rush hour. Of course we can advise you about which bus to take from your accommodation in Cusco to the Spanish school, your volunteer program or any place you would like to go. The cost of a taxi depends on the ride. A short ride is S/. 3 soles (less than 1 USD) during the day and S/. 4 soles at night. The farther you go, the more it costs. 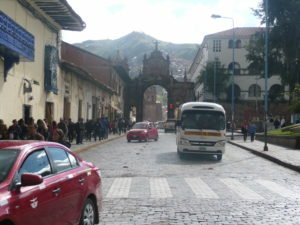 But normally within the city of Cusco, a ride won´t cost you more than $ 2 USD. You can find taxis anywhere at anytime. You rarely have to wait more than a minute to find a taxi. Nowadays you can find most things you need in the shops in Cusco. If you walk into a supermarket, you can find all the basic things, national products and even some imported products like peanut butter, nutella (although it is not cheap) or imported beers. If you are not addicted to a local product from your country, you don´t need to bring anything with you. Outside the main streets, you will find lots of small mini-markets with the most important utilities. A few years ago, a modern shopping mall opened its doors in Cusco. In this shopping mall, you will find a cinema, brand stores, supermarket with a lot of imported products, lot of clothing stores and a food corner with local restaurants and international fast food chains. The mall is called Real Plaza and can be found at about a 10 minute taxi ride from the city center. A taxi from the center of Cusco / the Spanish school to this mall costs you S/. 4 or 5 soles. 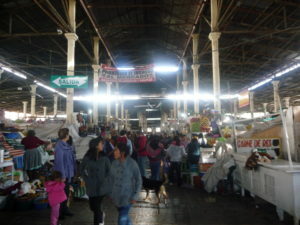 In the city center of Cusco you will find lots of restaurants, bars, shops, travel agencies, hotels, money exchanges etc. The shops around the plaza de armas are mainly tourist shops with handicrafts, shops that provide trekking equipment and clothes, drinks and food, post cards etc. And we can certainly recommend you a visit to the local market. You can buy fresh products there or just drink a nice fresh fruit juice! For most things you buy you don´t need to negotiate about the price. Prices in shops are fixed prices. But you do need to negotiate about longer taxi rides and souvenirs / handicrafts. If you have any questions about the information on Peru we provided you, please let us know!